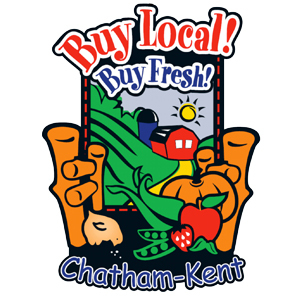 Buying Chatham-Kent Food in the Winter | Chatham-Kent Agriculture Development | We Grow For the World! Most of us realize the importance of buying quality food products for our family, as well as the importance of supporting our local producers. One of the questions I keep getting asked is how do we continue to buy local and buy fresh in the winter and early spring, when there are no outdoor crops being grown in Chatham-Kent? We can buy products such as apples, mushrooms, carrots and various meats throughout most of the year. Try to look for Ontario grown labels on these food products. However, for other crops, other than our greenhouse peppers, tomatoes and cucumbers, there really are no fresh fruits and vegetables grown year round. However, we always have the frozen and canned products available. Frozen and canned vegetables can be an easy, convenient, and inexpensive way to be sure you are eating your veggies all year long. Frozen and canned vegetables are processed right after the crop is harvested for minimal loss of nutrients. Canned vegetables have relatively long shelf lives compared to frozen and fresh vegetables. However, the added sugar and salt found in canned vegetables can be a concerning, so make sure you read the food labels and make an informed choice. The Green Giant Company has a “Grown and Packed in Canada” label, along with a red maple leaf in the top right corner of frozen bags of peas, corn, and green and yellow beans. All of these products are packed by Bonduelle, a French based processing company that owns three processing facilities at Tecumseh, Ingersoll, and Strathroy. 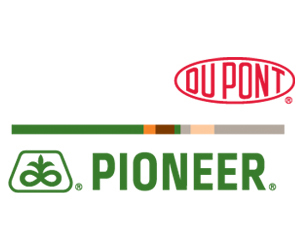 Many of the Bonduelle products come from right here in Chatham-Kent. 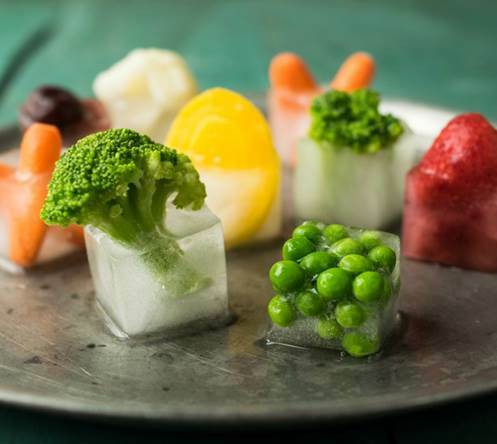 Bonduelle also has their own brand of frozen vegetables called Arctic Gardens which includes peas, corn, beans, Brussels sprouts, carrots, lima beans, and squash, many grown locally. Our farmers also grow tomatoes for a number of processors in our area, and here are some of those processors and their product label names. Harvest-Pac in Chatham produce tomato and pumpkin products for the foodservice and commercial sectors under the Harvest-Pac label. Some of our tomato growers also supply Sunbrite Foods (Unico and Primo labels) and Highbury Canco (Heinz and French’s labels). In addition to the labels above, most of these processors supply the major food chains and their respective private labels at stores such as: WalMart (Great Value label), Sobeys/Freshco (Compliments label), Shoppers (Everyday Market label), Zehrs/No Frills/Superstore (President’s Choice label), and Metro (Our Best label). 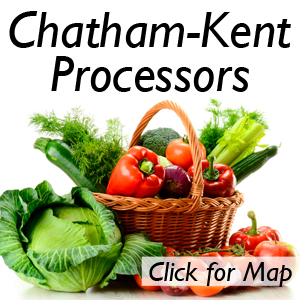 We also have quite a number of processors here in Chatham-Kent who package and preserve their own products, including jams, jellies, pickles, asparagus, wine, maple syrup, honey, peaches and much more. All sorts of locally produced food products for every day of the year. There are also all kinds of meat products and fish that are locally raised and caught that are available all year round. Dry beans, peas, and other grains grown in Chatham-Kent can also be found on store shelves to make into soup mixes and chili. The other source would be the ‘We Grow for the World’ website. 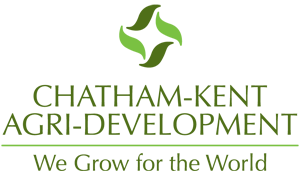 If you go to this link (wegrowfortheworld.com/ag-business/) you will find an agri-business directory, which sorts into various categories our entire agriculture sector here in Chatham-Kent. 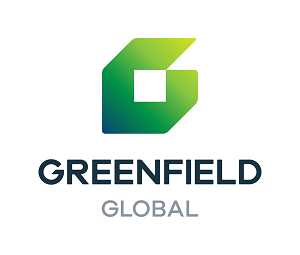 You will find the names, addresses, phone numbers and websites of our various producers and companies who have many products to sell in season and all year round. On behalf of all our agricultural producers, thank you for your ongoing support of locally grown Chatham-Kent food products. Think about this – Christmas is not as much about opening our presents as opening our hearts.